I am trying to update a 2D Path Plugin object from v2017 to v2019 (plugin worked fine in v2017) and I am running into a weird issue. If you move the object from location 1 to location 2, it still has a memory of the original location of the path at location 1 even though nothing shows up there. 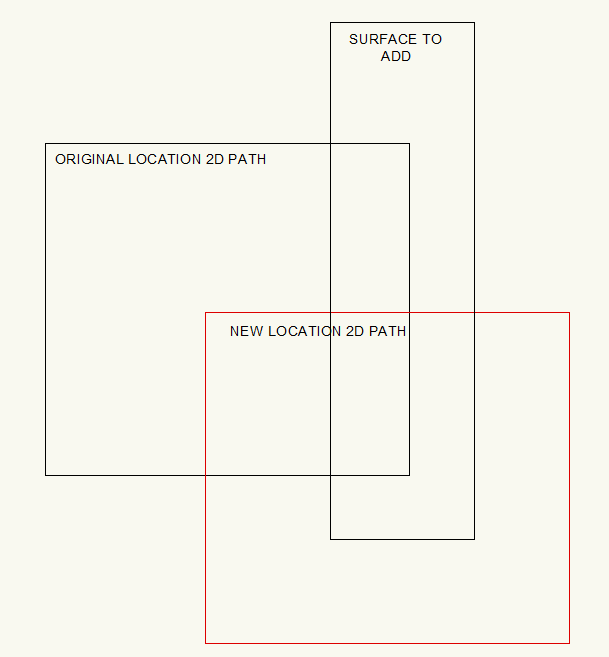 When try too add/clip surface to edit the 2D path object, it looks at the location 1 for the joins and moves the 2D path back to the original location plus or minus the add/clip surfaces. It works correctly when I double click into the path object to change the shape through vertex tools but that is by FAR a slower method of our workflow. 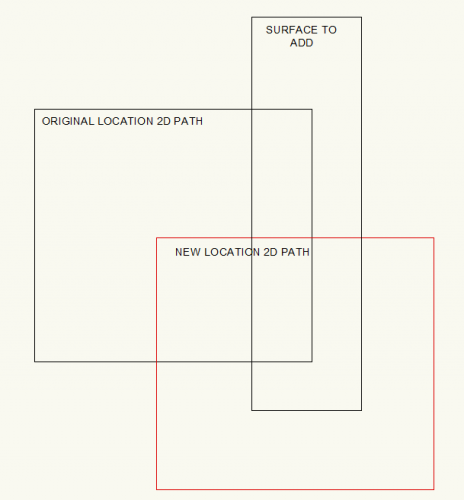 Definately a bug or maybe a method I can use to reset path geometry to the new locations? See below for pics. You can see it ignores the new location and bases the new shape of the object off the old location. 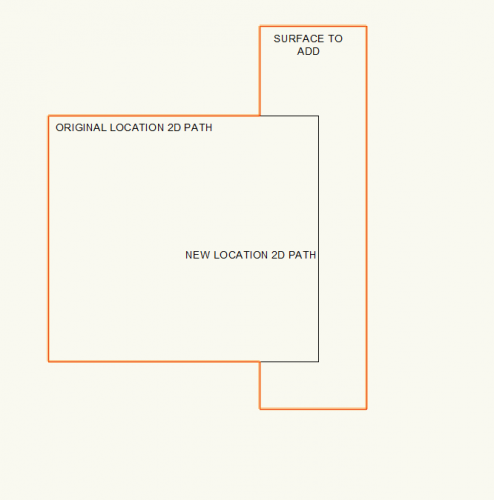 So I tried broke it down to the base 2D Path plugin shown below and I am still having the same problems. It only works after I double click into the object making the vertexes editable. 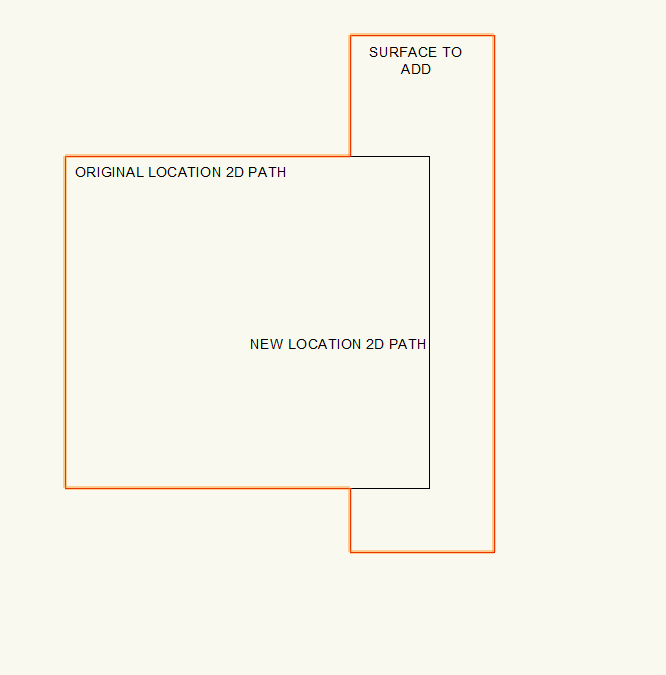 Somehow that resets the location and the new 2D path. I tried resetting the elements using ResetObject( objectHandle :HANDLE); but that has no effect. Only way to truly reset it is by double clicking in. Is the kResetEventID not called anymore on a plugin move or add/clip surface? Maybe that is something I can try. Anyone have any idea why this would stop working in Vectorworks 2019? ( I did not try to use it in Vectorworks 2018) Is it a bug? Also, are there any good replacements for the vectorscript listserv? Is this supposed to be it? That seemed to be invaluable knowledge base and seems to be completely gone now. I know they want to get away from email, but man there was tons of developer content there that now is very lacking. Also the responses were amazing. So I copied and pasted the example 7 from Vectorlab for an event enabled 2D plugin that responds to surface editing and it exhibits the same exact issues. This makes me think that something that was introduced in 2018 or 2019 broke the behavior of 2d path objects.